Liz Coley has been writing long and short fiction for teens and adults for more than ten years. Her short fiction has appeared in Cosmos Magazine and several speculative fiction anthologies: The Last Man, More Scary Kisses, Strange Worlds, Flights of Fiction, Winter's Regret, and You Are Not Alone. 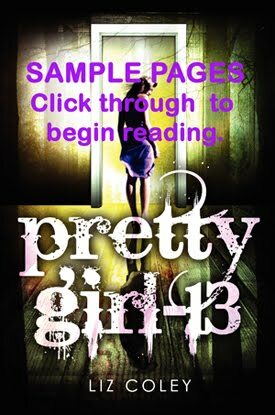 In 2013, psychological thriller Pretty Girl-13 was released by HarperCollins and HarperCollins UK in print, eBook, and audiobook editions. Foreign translations have been published in French, Spanish, German, Portuguese, Swedish, Norwegian, Russian, Czech, Slovakian, Traditional and Simplified Chinese. Independently published works include time travel/alternate history/romance Out of Xibalba, the Tor Maddox "pink thriller" trilogy, and The Captain's Kid, a sci-fi adventure for tweens/teens. Liz lives in Ohio, where she is surrounded by a fantastic community of writers, beaten regularly by better tennis players, uplifted by her choir, and adorned with hair by her cats Pippin, and Merry. Liz invites you to follow her as LizColeyBooks on Facebook, Twitter, Instagram, YouTube, and Wattpad. On her website at lizcoley.com you can watch the Pretty Girl-13 book trailer, download editing tips, and read her confessional blog postings "Scenes from a Life."